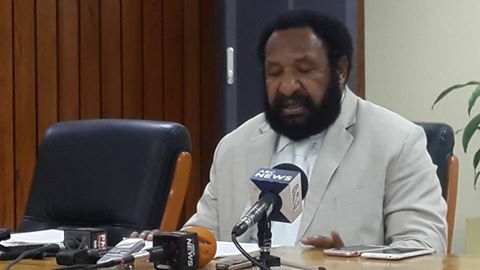 Opposition Leader, DON POLYE has today called on Prime Minister, PETER O’NEILL to stop demeaning the Office of the PM and has also written to the Police Commissioner, Gary BAKI to uphold the rule of law and not to tarnish his good name. 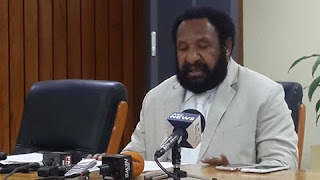 “The Commissioner’s action is tantamount to a perversion of the course of justice and amounts to misconduct under the leadership code as well, “said Mr Polye. He says the Police Commissioner should now invite the Prime Minister to the Fraud Office and have him face his possible charges; this is exactly what a Police Commissioner should be doing during this time. Mr Polye also stressed that despite all odds, the Commissioner should be acting upon the rule of law and what the right thing to do at this stage is. Mr Polye reiterated today that the Prime Minister should not debate the matter through the media but let the courts prove whether he is innocent or guilty by stepping aside. Further to this, Opposition is concerned that such control by the Government is showing in the 4th estate, the Media. Opposition Leader, Don POLYE said reporters should be reporting without fear or favor and this must be respected by the Government. “ I’m seeing media personals, even foreign media are frightened to talk to me in person, even public servants have tried to avoid talking to me in public in fear of being sighted and there seems to be a seize in this country when it comes to the freedom of expression, “ he added. He added that public servants should feel free to criticize the Government that they work for, even the media should report about the truth without being suppressed in anyway. Mr Polye has urged all media houses to stand up and speak up for themselves and report the truth.